In Europe, however, the honeymoon with the station wagon (or “estate cars” or “kombis,” depending on where you are over there) hasn’t ended. In fact, wagons are so popular in the Old Country that many manufacturers offer high performance versions thereof. But in the mid-‘90s, the species Stationwagonus Wickedfastimus as we know it today didn’t really exist. It took a collaboration between two then-distant (now less so) corporate cousins from the Fatherland to create this category. 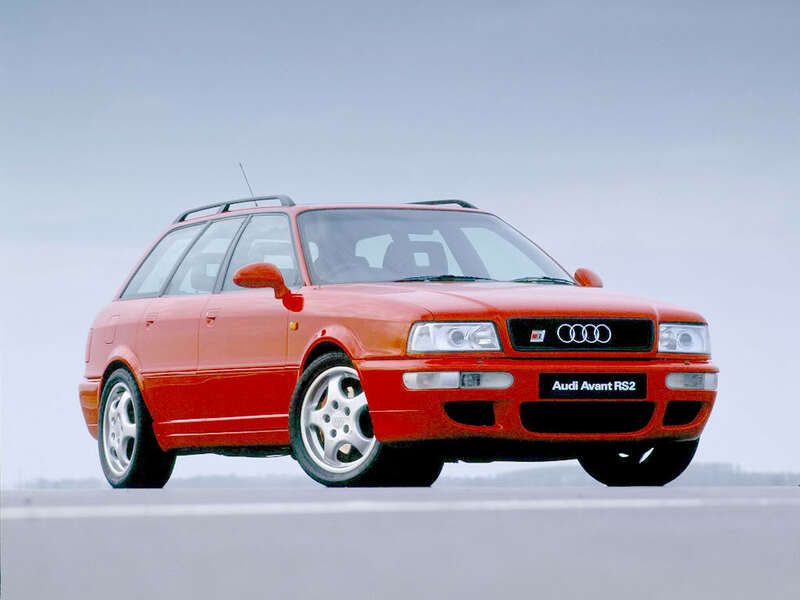 And the Adam/Eve of the segment they came up with – the Audi RS2 Avant – was a real humdinger. 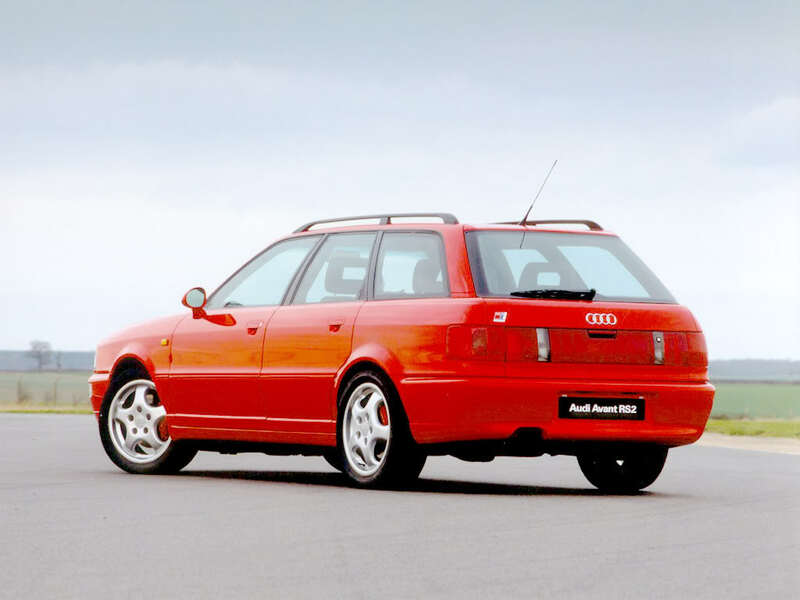 Using the Audi 80 Avant as a starting point, Audi got together with Porsche to create the Four-Ring brand’s first ultra-high performance production car (Sport Quattro rally homologation models notwithstanding). Body and powertrain components were shipped to Porsche’s Rossle-Bau assembly facility in Zuffenhausen – the same one in which the Mercedes-Benz 500E/E500 and, before that, the Porsche 959 were built – for final assembly. The body received unique front and rear bumpers and side skirts, Porsche 911 Turbo mirrors and 911 “Cup” wheels, along with “RS2” badges at the front and rear that also bore the stylized “Porsche” block lettering. Under the skin, the RS2 Avant featured an extra-spicy version of Audi’s turbocharged 2.2L 20-valve inline-five. 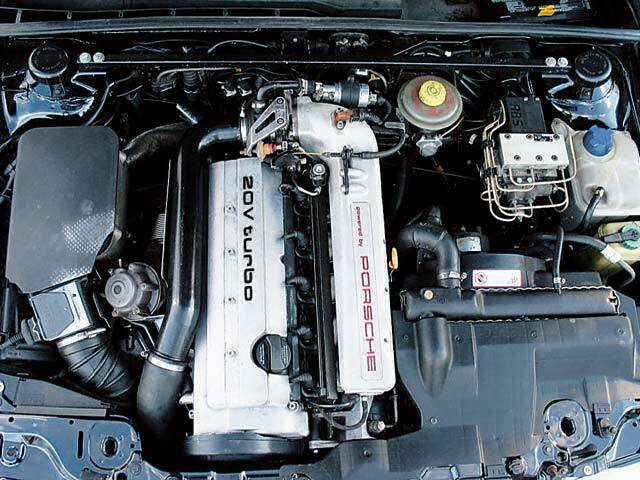 A new turbocharger, intercooler, camshaft, fuel injectors and ECU, plus a freer flowing intake and exhaust, yielded a very healthy (by mid-‘90s standards, anyhow) 315hp and 302 lb.-ft of torque. That power was passed on to a mandatory 6-speed manual transmission and from there to all four wheels via Audi’s groundbreaking quattro all-wheel-drive system. If this sounds like a recipie for impressive performance, you’re right. In fact, the RS2 Avant was quicker than a McLaren F1…to 30 mph. To reach 62 mph, this looney longroof required 4.8 seconds, and it was electronically limited to 163 mph. Not quite extraordinary in the company of today’s machinery, but keep in mind that back then a base Corvette couldn’t do much better, if at all. But in terms of abundance, GM’s Plastic Fantastic had a ubiquity only belly buttons can match relative to Ingolstadt’s family-friendly rocketsled: Just 2,891 RS2 Avants were built over a 16-month span and, as you’d expect for a car featured in this series, not a single one was sent across the Atlantic. Audi has since thrown us the occasional hot wagon bone (That sounded less dirty in our head, we swear. ), though they’ve all been slightly milder “S” models rather than “RS” models. Still, we can’t begrudge Audi for holding out on us, because without the RS2 Avant we’d never have gotten the RS4, the RS6 and, a couple years from now, the RS5 over here. Hell, for all we know the company may not have gone Le Mans racing or come up with the R8 roadcars had it not built this Autobahn-burning tool for discriminating Costco shoppers. In other words the RS2 Avant could very well be responsible for making its manufacturer the car company we and countless other petrolheads know and love today. The Country Squire can’t exactly make that same claim, eh?